For Owls, as with other birds, the period during which nesting and rearing young occurs is the most important part of the annual cycle. It is the time during which genes are passed on to the next generation, and considerable effort is expended by the parents in this respect. 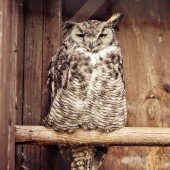 In the case of most Owl species, especially those found in temperate or sub-Arctic regions, breeding occurs during the spring. However, all the upbringing of their young, and the period immediately following their fledging, is invariably timed to coincide with the maximum abundance of prey animals. As a general rule Owls are monogamous, that is to say pairs are comprised of one male and one female, neither one of which has any involvement with other nesting birds. This is in contrast to some species of passerine birds where a single male may mate with more than one female, and take partial responsibility for the upbringing of several broods. The reverse case, wherein one female mates with several males, is less commonly observed among birds. With some Owl species the pair bonds last only for the duration of the breeding season, especially if the species involved is dispersive or migratory. 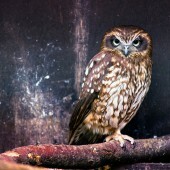 In others, particularly sedentary species such as the Little Owl, pairs may remain together throughout the year. Tawny Owl pairs are similarly faithful to one another, their bonds remaining for life. 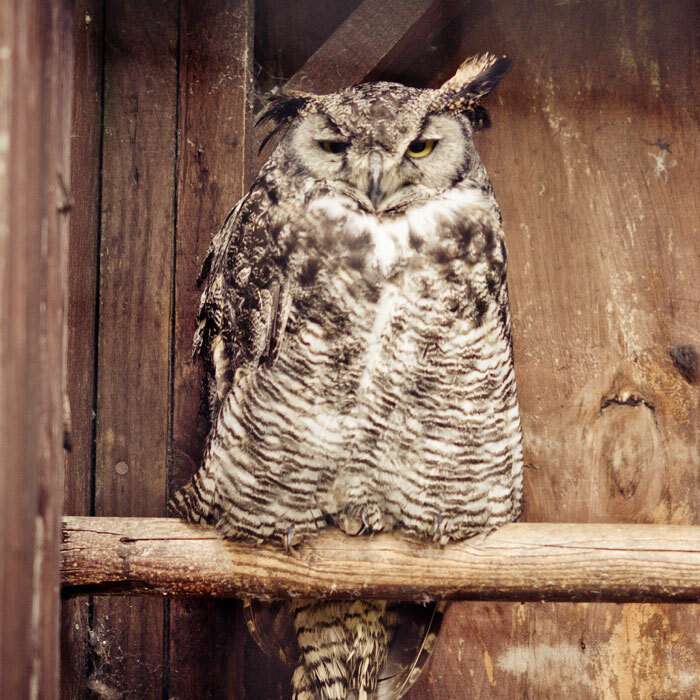 Owls are territorial, a fact that is particularly evident during the breeding season. They vigorously defend the nest and a well-defined surrounding feeding territory against members of the same species and other birds that might conceivably compete for the same resources. If the Owls are dispersive, this territoriality lasts only for the duration of the breeding season. Year-round residents such asTawny Owls and Eagle Owls will defend their territories throughout the year, their efforts extending to offspring of the previous year once they are more than a few months past fledging. Attacks on intruders are invariably uninhibited and vicious if the intruder stands its ground. 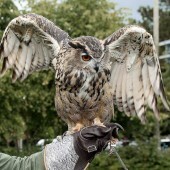 Smaller Owl species (potential competitors for food and nesting sites) are also attacked, and Tawny Owls, for example, will readily kill Long-eared Owls in their territory. This effectively results in the fact that two species do not overlap in terms of their precise distributions. Diurnal species of Owls will sometimes advertise their territories in a visual manner. 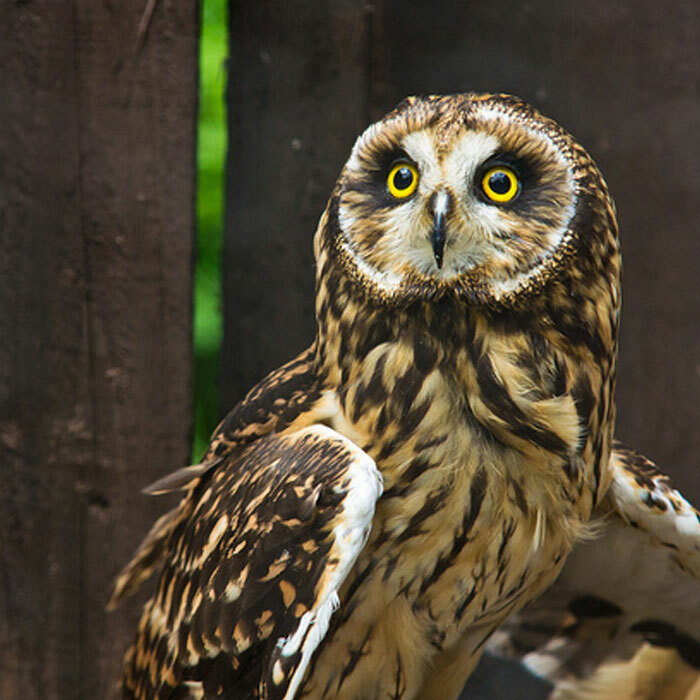 Thus Short-eared Owls perform buoyant-flight and wing-clapping displays to announce their presence to other birds, both potential mates and intruders. 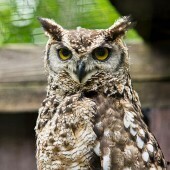 Nocturnal species of Owls invariably use sound as a means of advertisement. The calls of sedentary species often involve duets between established pairs, rather than individual birds. 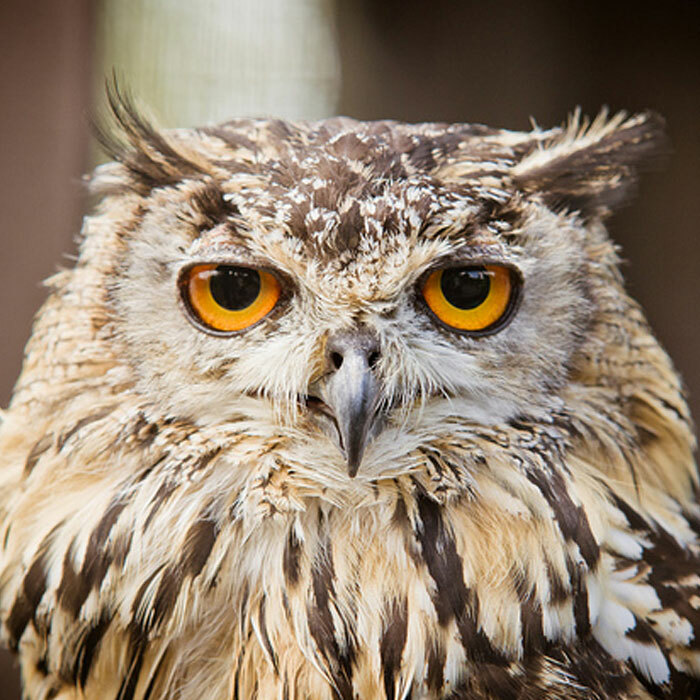 In the strict sense of the word, Owls do not construct nests in the same way as songbirds do. Instead they are opportunistic nesters, using ready-made sites or taking over the abandoned nests of other birds. 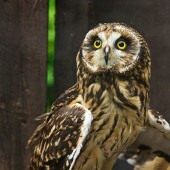 Owl species that breed in open terrain are often ground nesters. The Snowy Owl, which favours the Arctic tundra, will use a hollow in the ground which the female may attempt to scrape out and line with plant material. Short-eared Owls often nest in or beside tussocks of grass; similar sites are sometimes chosen on rare occasions by Long-eared Owls and Tawny Owls, both usually tree-nesting species. Holes in trees are another preferred site for a wide variety of Owls, and a few species, notably the Barn Owl, have adopted the man-made equivalent of these sites – namely, holes in barns and other outbuildings. 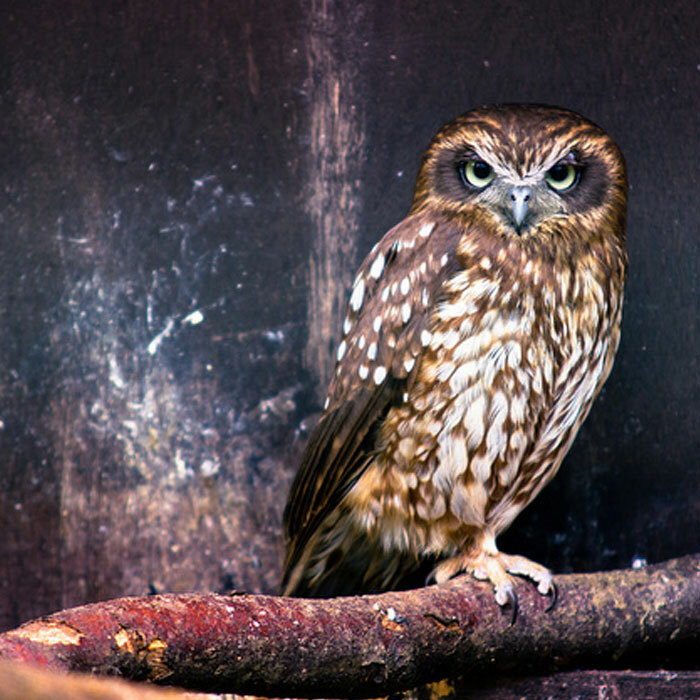 The abandoned nests of crows and birds of prey are also favoured by many Owl species, with sometimes little or no attempt to embellish the previous owner’s construction. 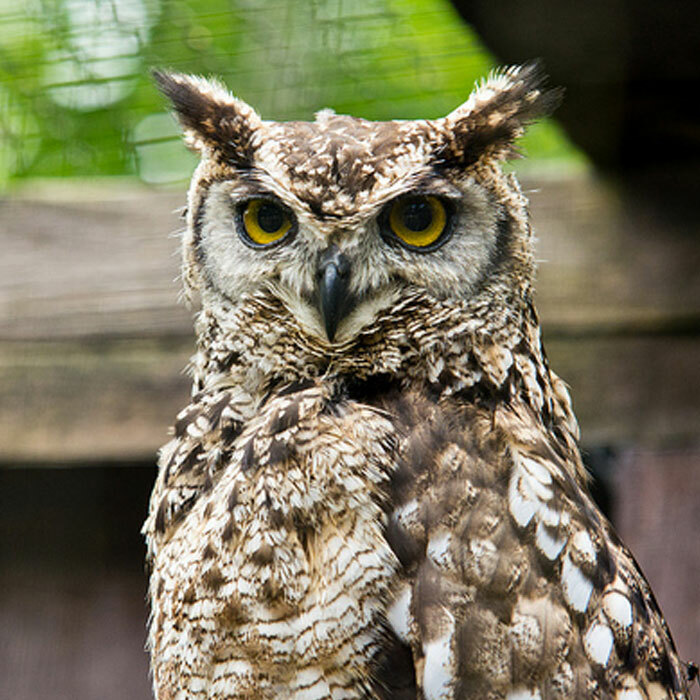 Lastly, natural rock crevices or ledges are used by a few species, including that most impressive of Owls, the Eagle Owl. 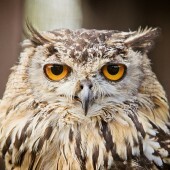 Owls lay between one and thirteen eggs, depending on the species and also on the particular season; for most, however, three or four is the more common number. The eggs are rounded and white; there is little need for cryptic markings given the concealed nature of most nest sites, and the vigour with which they are defended. Incubation of the eggs usually begins when the first one is laid, and lasts, in most species, for around thirty days. Because eggs are laid over a period of several days, the hatching is also staggered. This means that there is always a gradation in the size of the chicks in the nest, the larger and more active individuals invariably getting more food from the parents than their smaller, weaker siblings. As a result, it is rare for all the chicks that hatch from a clutch to survive, except of course when food is plentiful. In most seasons the youngest chicks starve, or are sometimes even killed by their brothers or sisters. This seemingly brutal approach to the rearing of young has in fact positive survival advantages for the family as a whole: it ensures that, whatever the food availability, some offspring will always survive and produce further offspring. If all the young were fed equally there would be a chance that all might starve in years of poor food supply. However callous the parent Owls’ approach to feeding their offspring may appear, they cannot be criticised for their courage in defending the nest. Many of the medium-sized and large species will unhesitatingly attack even a human that strays too close, often directing blows with the feet and talons at the intruder’s face and eyes. There are well-documented cases of people losing an eye due to Tawny Owl attacks, and the ferocity of a Great Grey Owl at its nest is nearly legendary.